There’s nothing more frustrating than a fruit tree that’s not fruiting. You envisioned yourself eating juicy scrumptious fruit, making jams/jellies, perhaps a pie, or some other delicacy. Now your hopes are all dashed due to an unfruitful turn of events. I, too, experienced this frustration with a quince tree not fruiting. Perhaps, you heard me in my backyard exclaiming loudly and dramatically with a shake of my fists, “Why!? Why won’t my quince tree fruit? Why is quince fruit not forming?” Well, wonder why no longer. Read on to learn more about why there is no fruit on a quince tree. Why Won’t My Quince Tree Fruit? The reason behind a quince tree not fruiting may not be a complicated one. It could be simply that the tree is not mature enough to bear fruit yet. A quince tree can reasonably be expected to start bearing fruit when it reaches 5-6 years in age. If the flower buds of a quince tree are damaged, then this is a good reason for quince fruit not forming. Quince flower buds are particularly susceptible to damage from early spring frosts. You may be able to minimize frost damage by covering your quince with horticultural fleece on nights when a frost is forecasted. A bacterial disease known as fire blight is also a threat that quince buds are susceptible to. Fire blight is somewhat easy to identify because the leaves, stems and bark will have a burnt or scorched appearance. 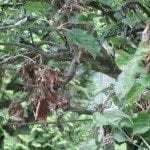 Fire blight is difficult to remedy once it takes hold, but pruning away infected branches immediately and applying bactericides may prove effective in combating the disease. Another reason for a quince tree not fruiting is insects. Insects can affect bud development and, hence, fruit yield. 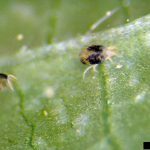 One insect known to affect quince, in particular, is the two-spotted spider mite, which feeds on leaves and defoliates trees. This defoliation impacts fruit yield by lowering photosynthesis rates, thereby causing reduced bloom and fruit set and small, low quality fruit. The quince tree, like most fruit trees, requires some winter chill in order to set fruit properly. Quince trees require 300 or less chill hours. What is a chill hour, you ask? A chill hour is the minimum number of hours below 45 F. (7 C.) that a tree requires before it breaks winter dormancy and begins the onset of bud break. So, if you are growing quince in a region that is too warm to fulfill this winter chill requirement, you may experience no fruit on a quince tree. Quince trees are classified as self-fruitful, meaning it does not require another tree for cross-pollination. It sets fruit with its own pollen. However, while bees may technically not be mandatory participant in pollination, their presence does greatly increase pollination and yields. So, if the honeybee population is low, you may not get the yield you were expecting.